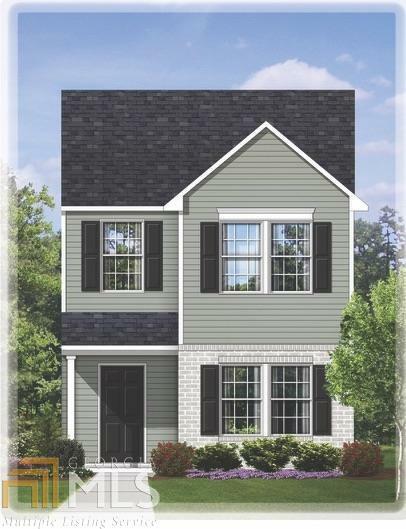 The Merlot-A NEW two story 1608 SF townhome! The main floor includes a spacious dining room and kitchen that leads to an open great room. A half bath and an extra storage closet are also on main floor. The 2nd floor features an owner&apos;s suite with a private bath and walk in closet. Additionally, upstairs are 2 more bedrooms and another full bath! Completion date is August 2019. Haggle free pricing. No negotiation necessary. Lowest price guaranteed. Directions: Get On I-85 S In Braselton From Ga-124 S. Continue On I-85 S. Take I-285 E To Panola Road In Dekalb County. Take Exit 71 From I-20 E. Take W Fairington Parkway To Piering Drive.